Professor Uzi Beller, the Editor-in-Chief of the International Journal of Gynecological Cancer, has notified the Councils of the European Society of Gynecological Oncology (ESGO) and the International Gynecologic Cancer Society (IGCS) that he wishes to step down at the end of 2018. His retirement will mark the 10th anniversary of his outstanding service to both societies as the editor of our shared journal. 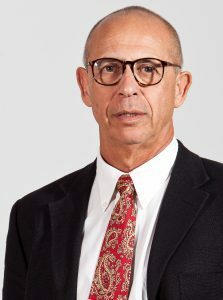 Uzi has been director of the Division of Gynecological Surgery and Oncology since 1990 following his return to Israel from NYU Medical Centre in New York where he had been the Acting Director of Gynecologic Oncology. He has been the Director of Obstetrics and Gynaecology at the Shaare Zedek Medical Center in Jerusalem since 2001. He has had a stellar career in gynaecological oncology and was the President of ESGO from 2001 to 2003. Uzi became Editor-in-Chief of the journal in 2008 when it had a backlog of hundreds of articles. With his Managing Editor, Linda Haas Shapiro, he not only turned this around quickly but also improved the journal’s impact factor and shortened the time to publication of newly submitted articles dramatically. You will be aware that our journal is now world class and both societies are extremely grateful to Uzi and his team of senior editors. We wish Uzi well and hope he continues his long association with ESGO and IGCS. ESGO and IGCS will undergo a formal search for a new Editor-in-Chief beginning in January, 2017. Not yet an ESGO member? Join us now and enjoy our great membership benefits!